Prairie Valley School Division is experiencing a shortage of bus drivers. Regular bus drivers are in place for most of Prairie Valley’s routes although a few more are needed, says Supervisor of Transportation Sharon Bender. Prairie Valley School Division transports 4,300 students daily during the school year and employs more than 200 regular and spare drivers. The School Division is looking for applicants with bus driving experience, but will provide training for non-licensed school bus drivers. Drivers receive competitive compensation and permanent drivers qualify for a comprehensive, employer-paid benefits package. Other advantages include excellent hours, with summers off, and drivers have the option to taking their small children with them on their routes. 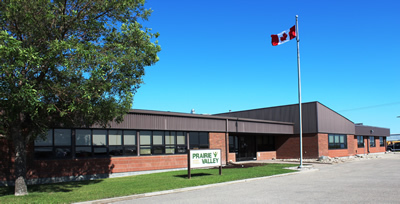 There are also opportunities for spare drivers to become permanent drivers with Prairie Valley School Division.